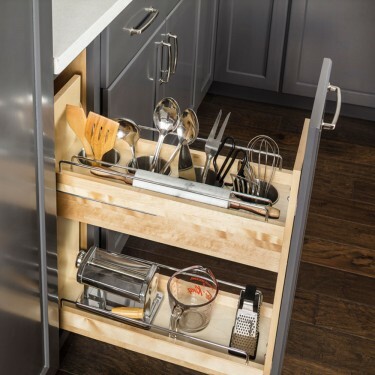 This 8 inch "No Wiggle" Utensil Bin Base Cabinet Pullout, Features Premium Soft-close Under mount Slides at the Base and Our Patented Top Mounting Bracket with Heavy Duty Slide at the Top. 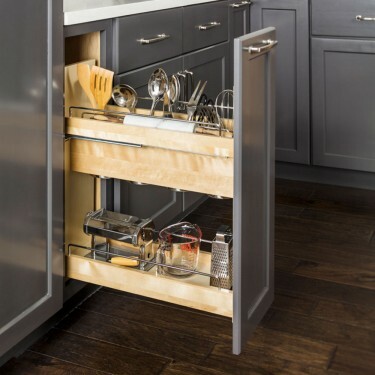 This New "No Wiggle" Design Eliminates the Excessive Side-to-Side Movement and Sag that had Been an Industry Standard. 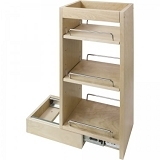 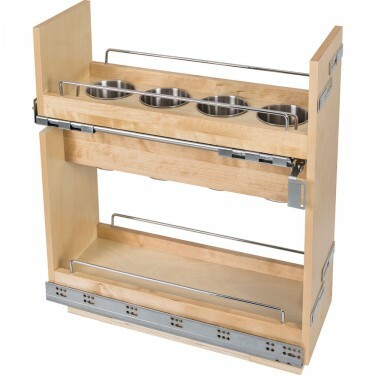 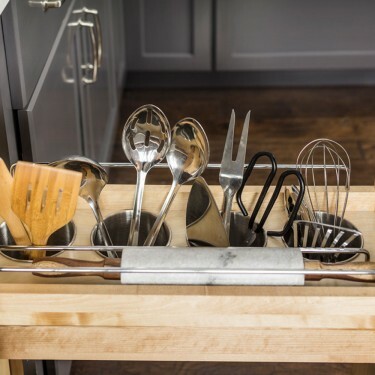 Built with White Birch that is UV Finished, the Utensil Bin Base Pullout Ships Fully Assembled with 4 Two Quart Non-Welded Stainless Steel Utensil Canisters that are 4" Wide and 6-1/4" Deep. 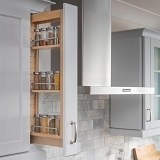 This Pullout is Built with Our Patented 6-way Adjustable Door Mounting Brackets Allowing for Easy Mounting of Doors. 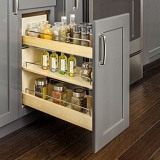 Base Cabinet Pullout (BPO2) Installation + Tips from Hardware Resources on Vimeo.